In one of history's greatest battles against the forces of evil, The Mighty Crusaders did the impossible: they won. Now, witness their heroic battle for the fate of the world like never before! 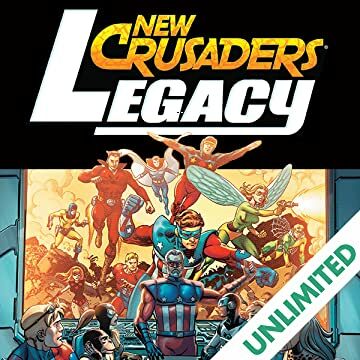 Using an innovative blend of NEW and CLASSIC material, New Crusaders: Legacy takes readers on a tour of the Red Circle universe, guided by the characters themselves! 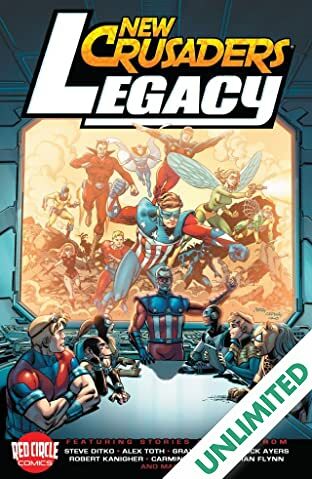 Picking up directly following the events of New Crusaders: Rise of the Heroes, our new team of young heroes learn about the early history of their parents, the Mighty Crusaders, from the world's first patriotic superhero, The Shield! Featuring work from legendary comic artists Steve Ditko, Alex Toth and MORE!